Leg warmers are an ideal companion, particularly on long Alpine tours and mountain passes. Their functional fabric and windproof knee patch reduces wind chill on your joints and keeps your legs warm so they can keep pounding out the miles. The preformed fit provides the freedom of movement. 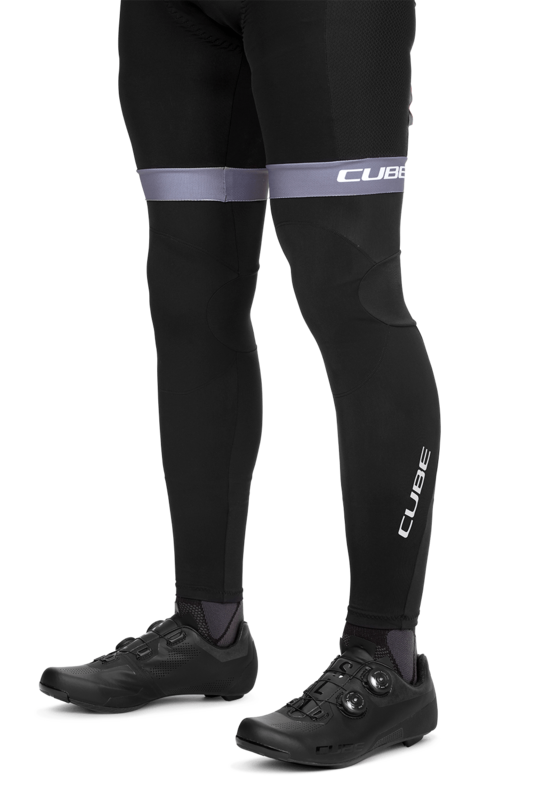 The elasticated silicone hem on the thigh effectively keeps the warmers from sliding down your leg.